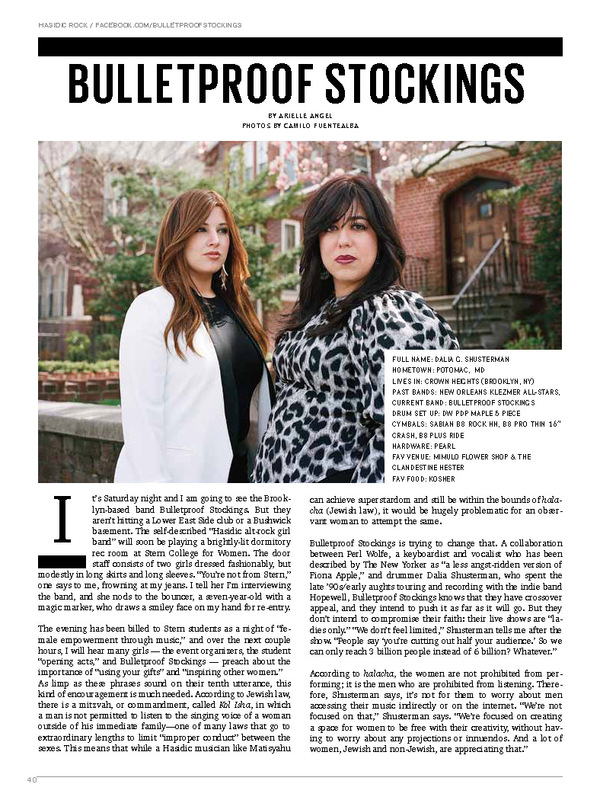 Over at Metal Injection, an interesting post was made about the band Bulletproof Stockings. 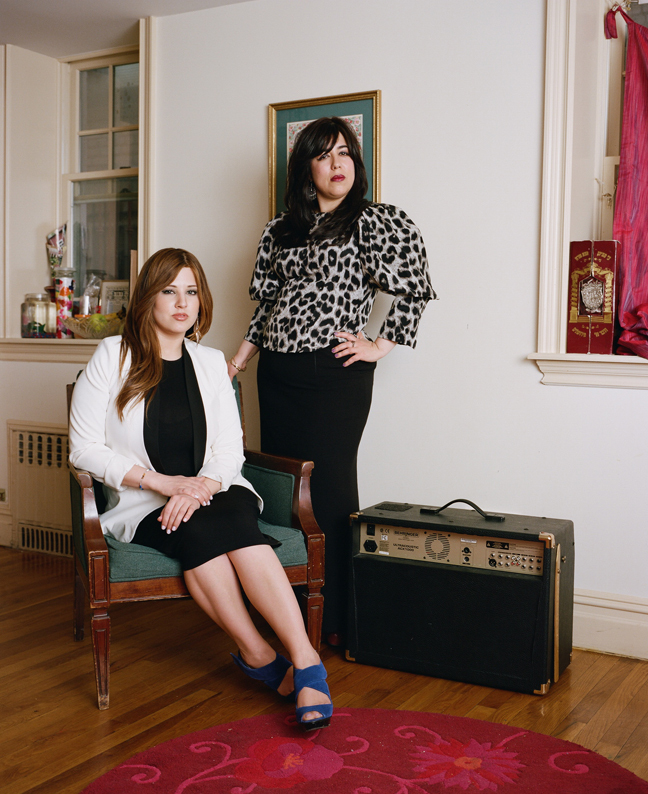 They’re a two piece band from Brooklyn, made up of Dalia Shusterman (vocals/drums), and Perl Wolfe ( vocals/piano). Their uniqueness comes from playing to only female audiences as they consider themselves to be a female Hasidic rock band. Say what? While I find this a progressive movement for women in any organized religion and practice, I wondered about several things. As I am no way versed in the practices of any religion, let alone Judaism, I wondered about their form of music-what is and isn’t allowed for women in their community. Is this women circumventing prescribed rules of behavior and/or re-appropriating behavior that males in the community are more easily allowed to display? I remember a couple years back hearing about the splash that Matisyahu incurred with his interpretation of faith and music. Is there any kind of backlash among their community? I ponder these kinds of questions because it would be interesting to see if anything like this would ever occur within the Extreme Metal Music (EMM) community here in NY. Is it possible that women would feel a need to write lyrics that negate the misogyny and violence often depicted within the lyrical content of the genre or does it take away from the music to omit that kind of content. And what about the shows? Would an all female EMM band turn away males from the doors? 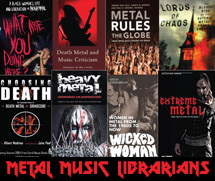 In a genre as small and acquired in its taste as Extreme Metal, could women afford to shut men out, the majority of their audience–probably not.